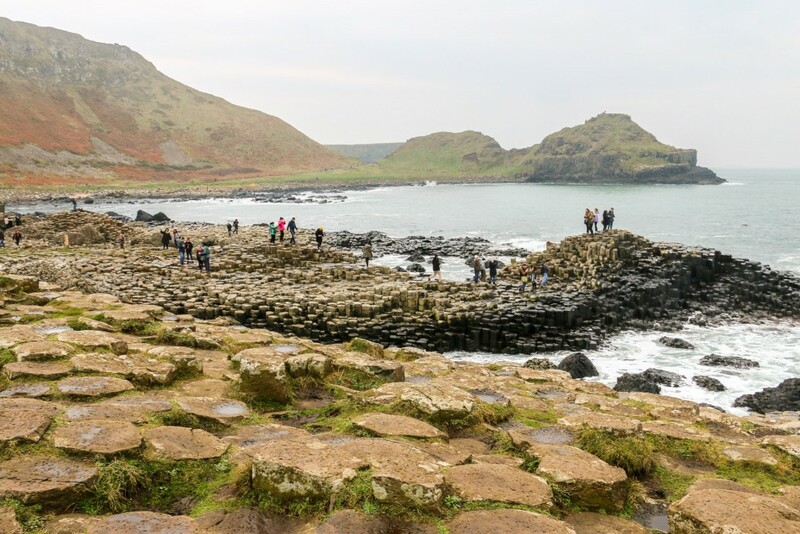 Up in the north coastline of Northern Ireland lies one of the United Kingdom’s best-known places, and World Heritage site, the Giant’s Causeway. It’s easily recognisable and present in many postcards due to its remarkable basalt columns and cliff setting. A true nature wonder. We were spending a long weekend away from home, visiting a friend that was living in Dublin. 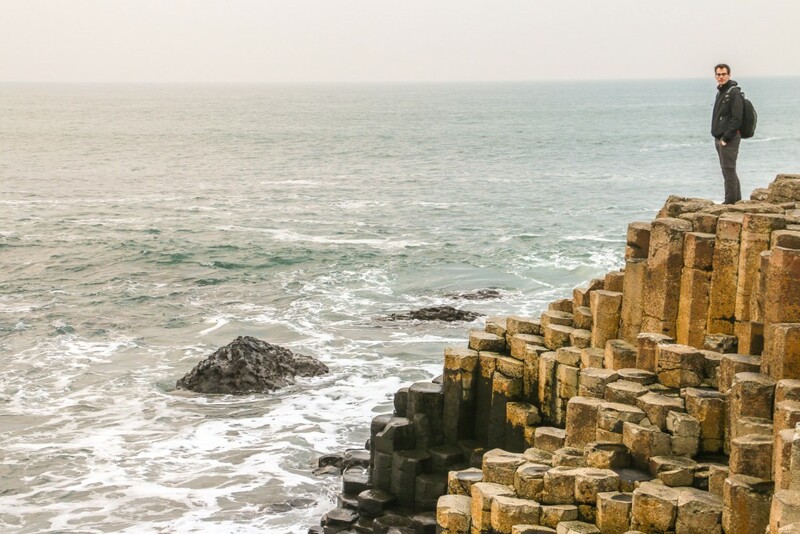 Going to Giant’s Causeway was a last minute decision, made the day before, and shortly after arriving from a day-long exploration of the city of Dublin. 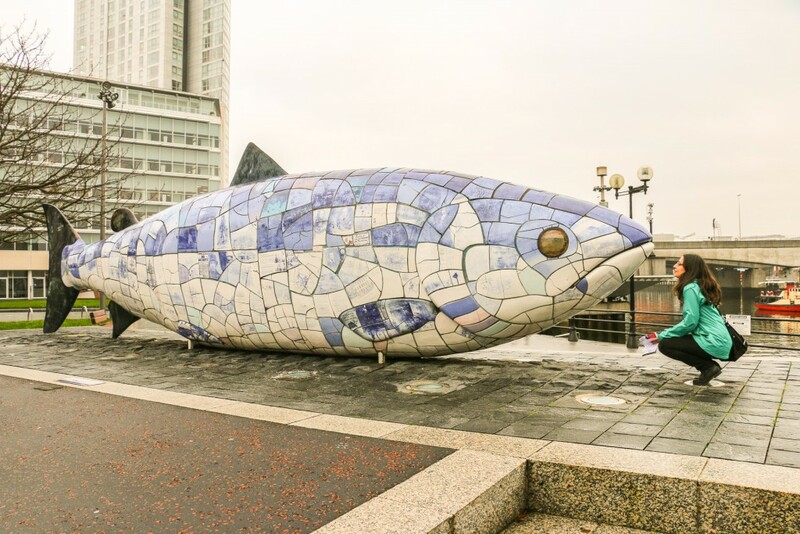 Northern Ireland is a short drive away and a good fit for a day trip all the way up north to the Giant’s Causeway, including passing through Belfast on the way. In total around 600 km round trip. Easier with two drivers, like we had. We split the day in two. Early in the morning we drove to Belfast and then, after lunch, to Giant’s Causeway, where we spent the afternoon. Alternatively, there are tour buses that do a similar itinerary. We just like the flexibility of driving and the fact that our friend had a car. To make it more fun, driving is on the left-hand side of the road! 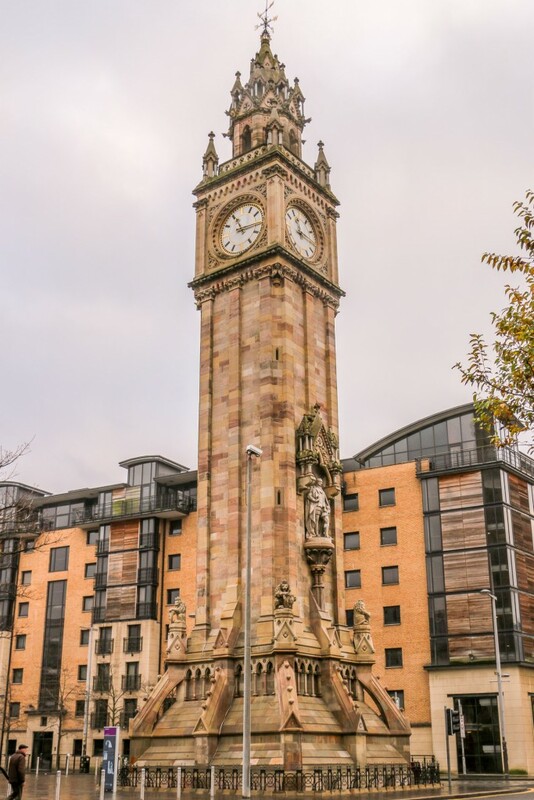 Our stop in Belfast was a short one. After parking nearby the City Hall, we walked around the central and historical area of town for a couple of hours. 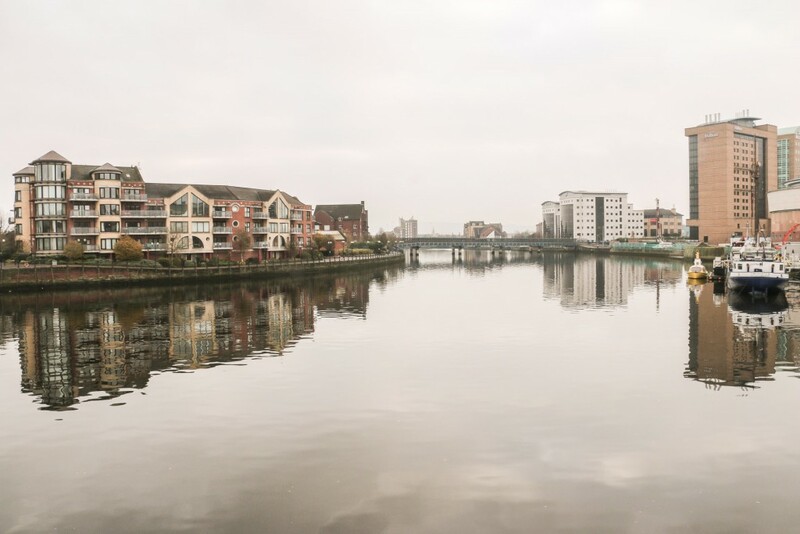 Besides the grey day, we were quite lucky with no rain to bother our wanders. 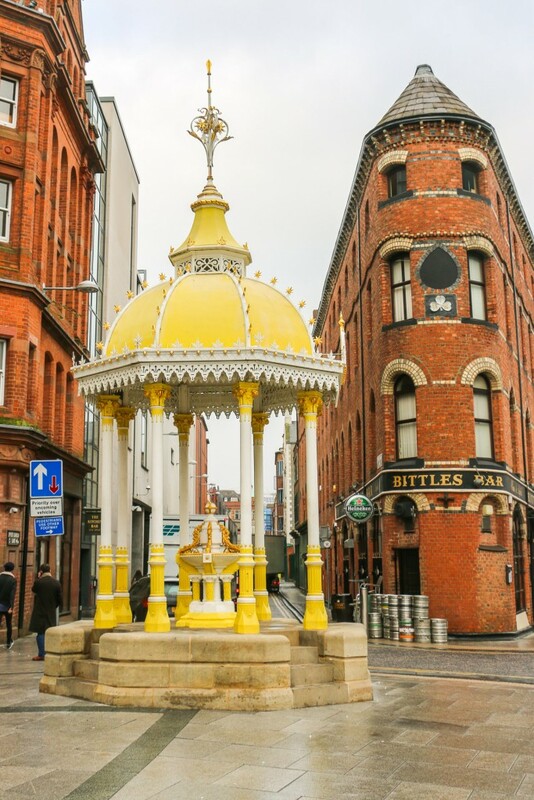 Here are some photos from Belfast. Before leaving, we had a quick lunch at the Christmas market that was being held in the Belfast City Hall grounds. The legend says that the columns are the result of giants doing. 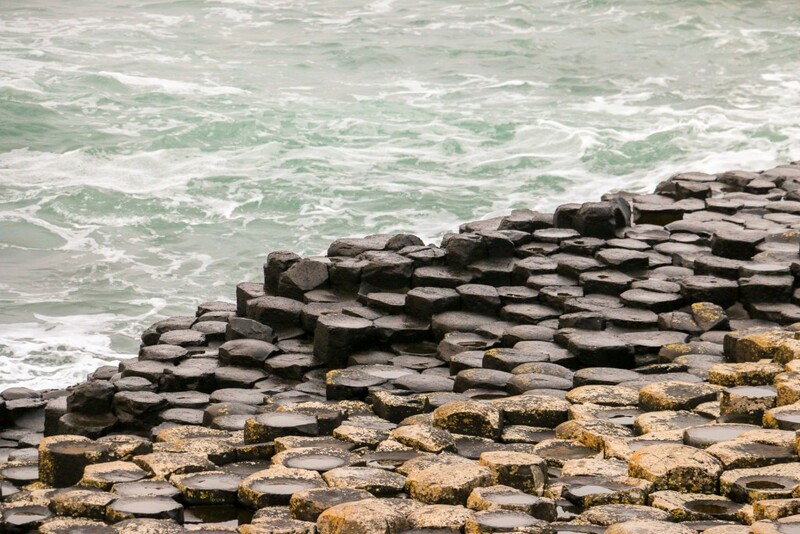 Finn MacCool attempted to build a causeway in order to meet another giant, Benandonner, and fight! 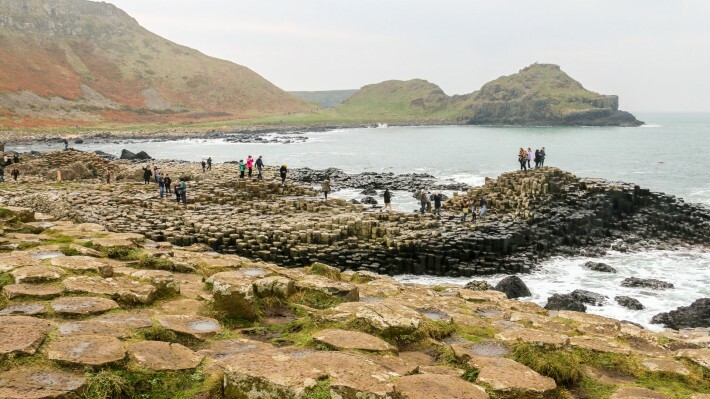 Well, that’s a good story, but in reality the Giant’s Causeway is the consequence of a massive volcanic activity. 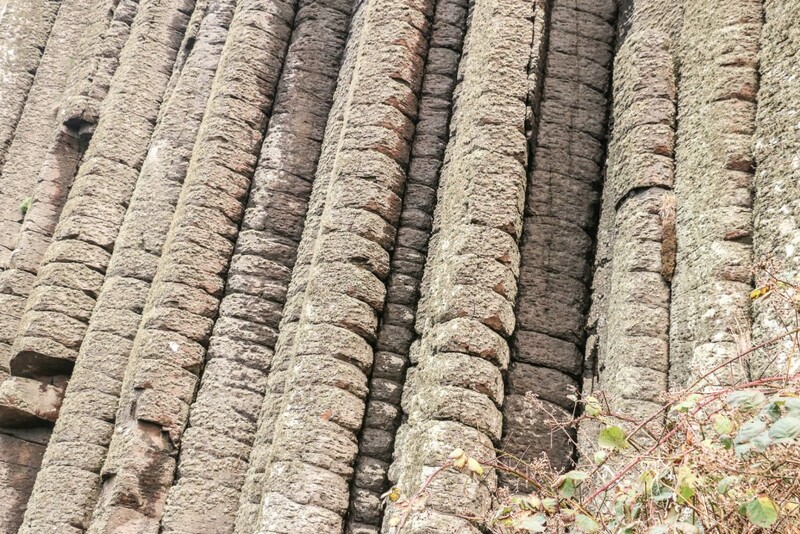 The way the lava cooled down created the columns as we know them today. We arrived by car and since it was low-season we headed straight to the car park right next to the visitor centre. The interesting part is that if you arrive by car, you need to pay 9 GBP, which includes the visitor centre and parking. If for a slim chance you walk, then you only pay if you want to go inside the visitor centre. There isn’t exactly a decent parking nearby, besides the official one, neither is clear that if you don’t want to enter the visitor centre, there’s no need to pay. In our mind, this makes no sense. If National Trust wants to charge parking, fine, but do it separately. We don’t mind paying to enter anywhere in the world and are happy to contribute. The only thing we ask is for the pricing to be clear. After some minor research, we can see that this is a sensitive subject and has sparked a lot of reactions over the last few years. Back to what really matters, the Giant’s Causeway. To access it from the visitor centre, a small road leads in that direction. There’s transport available (extra charge), but it can easily be done in 20 minutes or so walking. Plus, it’s clearly the best way to start your trip and enjoy the views and geological features even before reaching the main area. On the way, one can see the extent of the causeway into the sea. Even in low-season a good amount of people was visiting and standing on the columns for pictures. The columns can be seen in detail on the next couple of photos. Interesting to notice that some have a concave top while others a convex one. 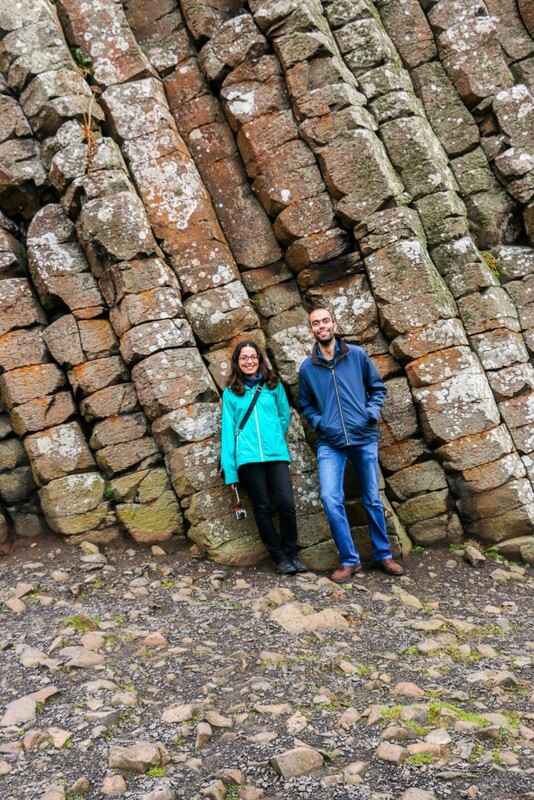 We approached the main area of the Giant’s Causeway, “jumping” from one column to another. Some with the perfect shape and height to sit and enjoy the view, which we did. The columns closer to the sea and even others further away that are hit by the spray are notoriously slippery. Mind your step! 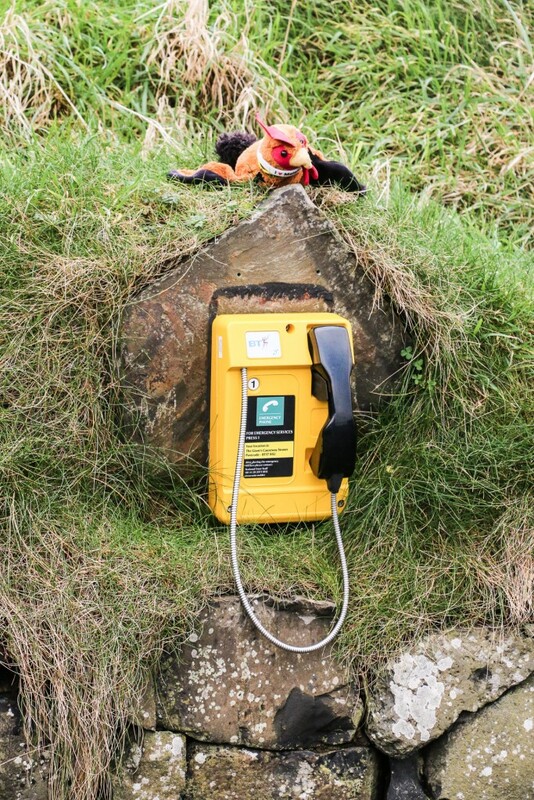 There was also time for a funny yellow emergency phone! Chicken included. And, a photo of Cristina with our friend Jorge. The light started to fade away as the evening began to settle in. We walked away from the main area with the goal of reaching the top of the cliff and back to the car. This route is longer and slowly follows along the face of the cliff on a dirt track before reaching the Shepherd’s Steps, which lead to the top. The views? Amazing! Try out this route when visiting as it’s definitely worth the effort and time. 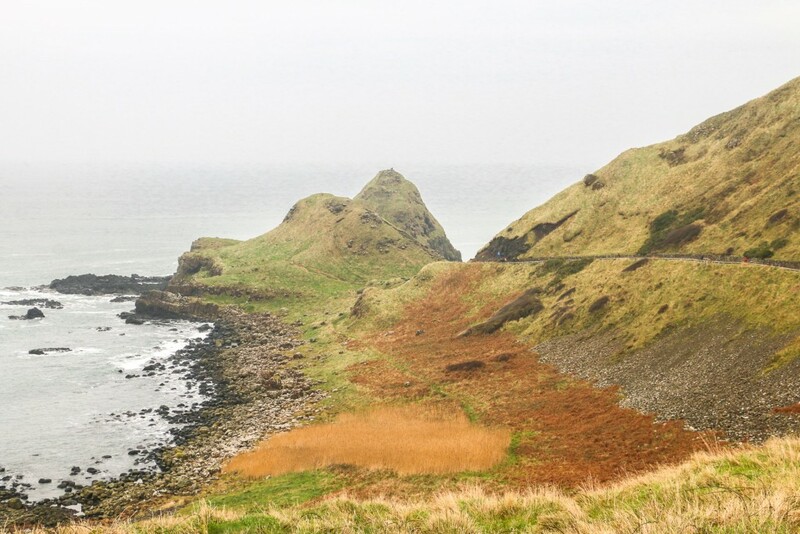 Once at the top it’s possible to see the Giant’s Causeway from different viewpoints. Apparently this route wasn’t as popular as everyone seemed to turn back to the visitor centre using the original route. Better for us, as we had all of it for ourselves. A couple of suggestions for those with time to spare. 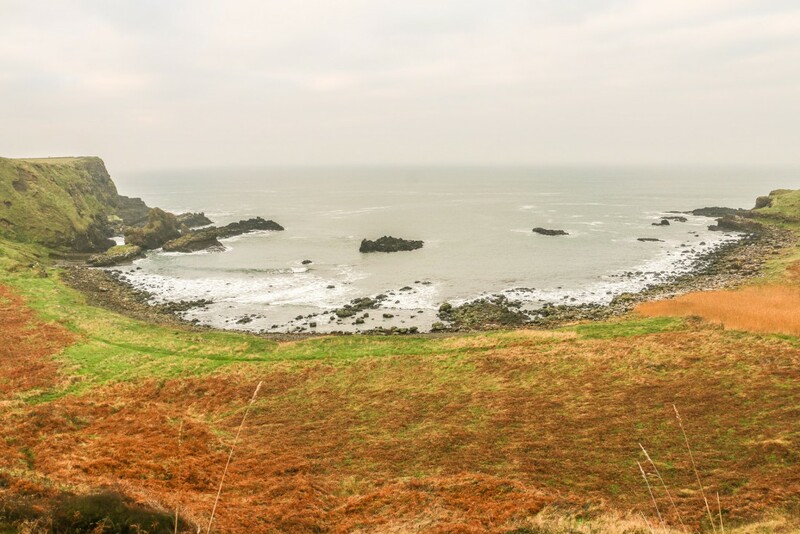 If you fancy Whiskey, the town of Bushmills is home to the famous Old Bushmills Distillery. Very close to the Giant’s Causeway. 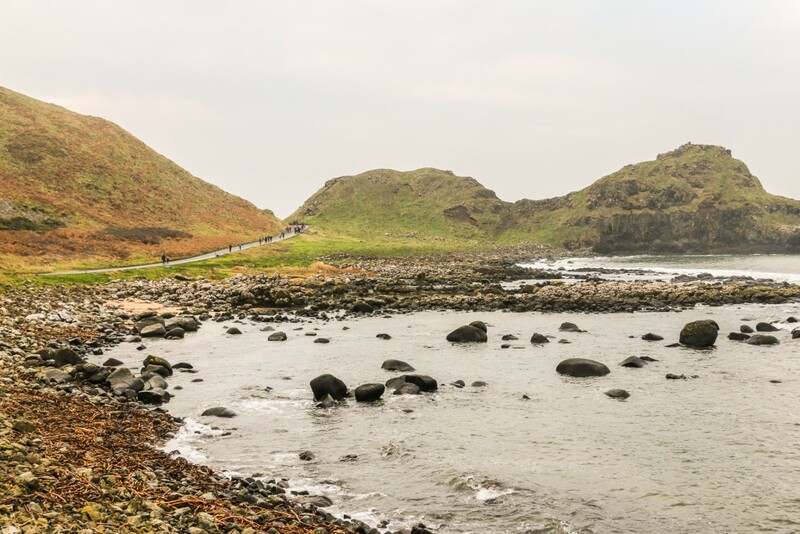 Also, during the busy season, there’s a park & ride scheme in Bushmills with shuttles available to the Giant’s Causeway. Another quite famous place is the Carrick-a-Rede rope bridge near the town of Ballintoy. A mere 20 m long rope bridge with a drop of 30 m! Not for the faint-hearted. Once we reached the car park, our visit was over. Besides being a heavily popular place, it definitely is a nature wonder worth visiting. 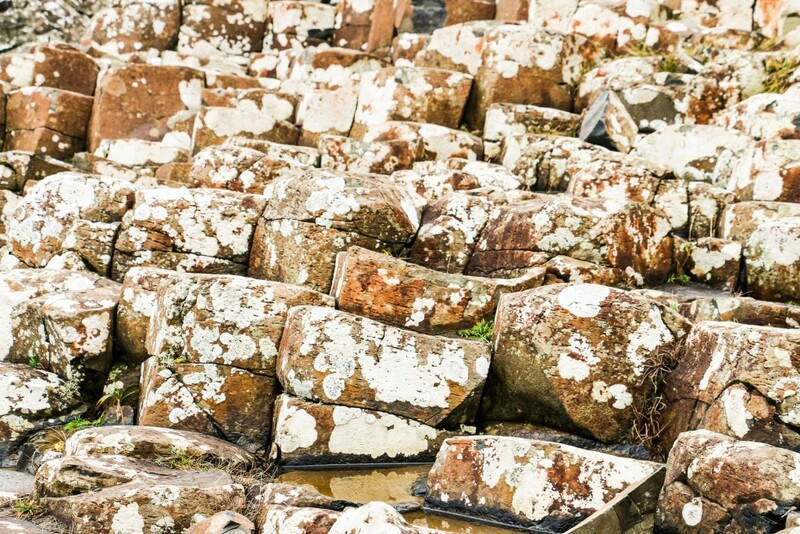 For more information about the Giant’s Causeway, visit the official site of the National Trust. 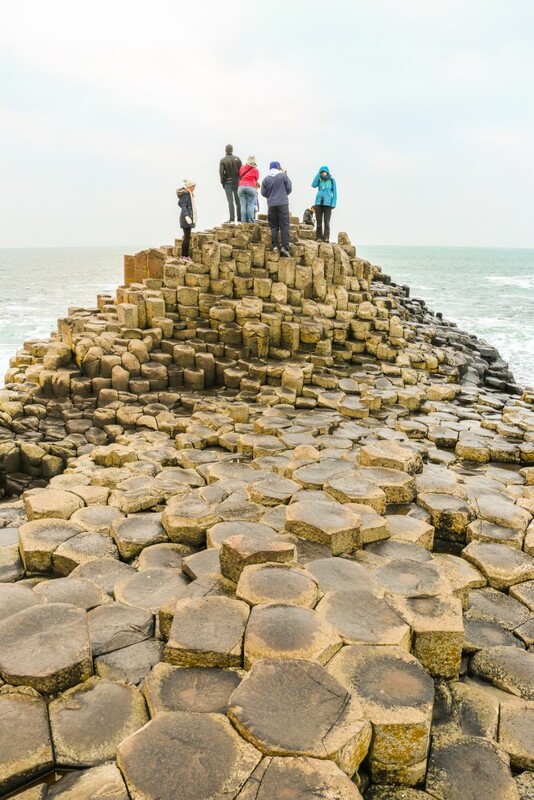 Have you been to the Giant’s Causeway? Glad you like the new website. We’ve slowly been working on it for the past couple of months and is now finally live. There are still a few things we want to add soon. Hey, great post. The pictures are beautiful and would love to go there one day. I have been to the Ring of Kerry in Ireland. That was the time when I fell in love with the people and the country. Next time I would love to do a hiking trip or something alike. This looks like a very energetic place. Cheers, Melanie. We need to explore more of Ireland but this was a good introduction to the region. Great for some short hikes! 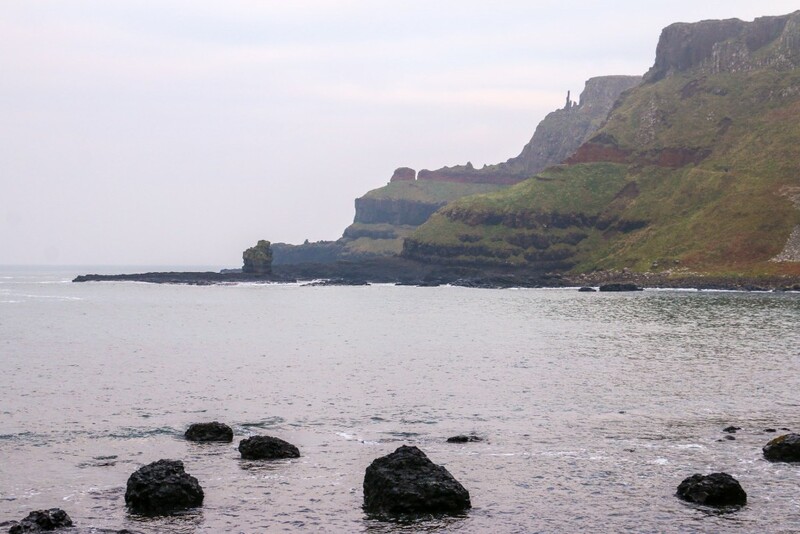 I went to all those places in Belfast in 2014 but did not proceed to the Giant Causeway Bay. Your photos are awesome, showing them both from afar and up close! Gotta go back! Thanks, Carol. You must go back! 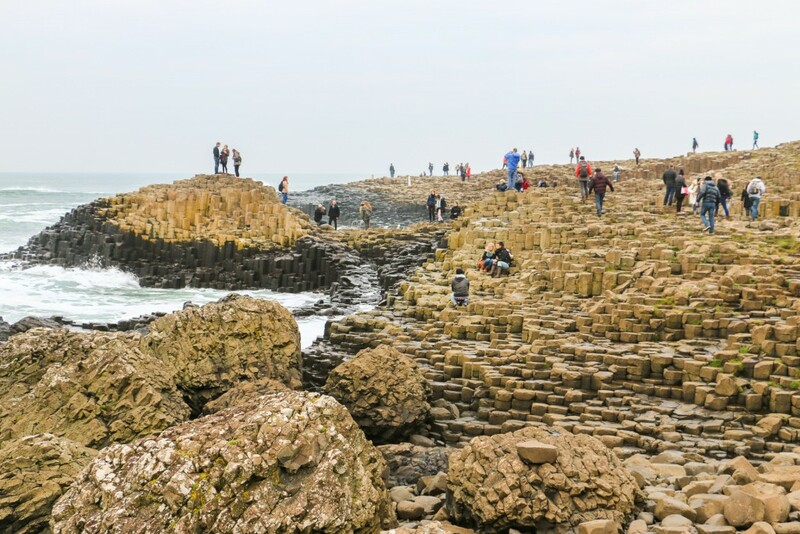 This part of Northern Ireland is quite impressive and deserves a visit. Such a unique and stunning landscape. I would love to see this one day. I really need to make it to Ireland. Indeed. You should definitely visit Ireland (both countries, Republic of Ireland and Northern Ireland)! 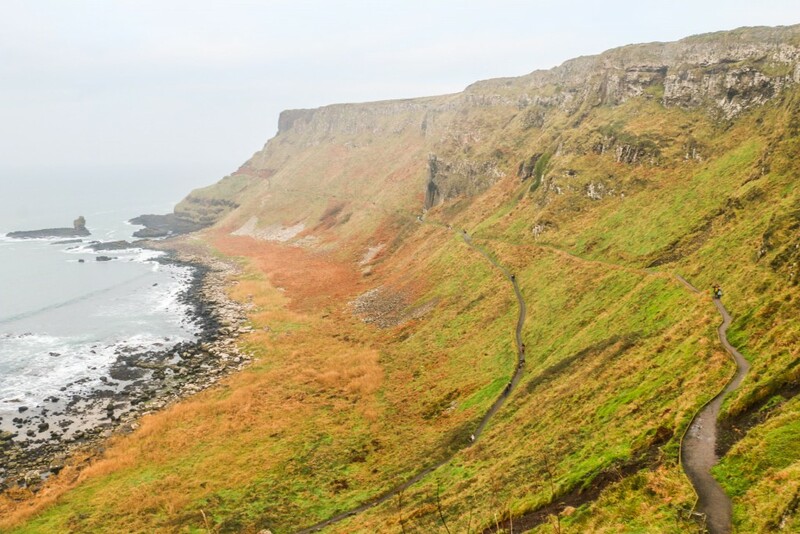 A stop by Giant’s Causeway is a must for any trip to Northern Ireland but I had no idea that it was also reachable from Dublin as a day trip! Yes, it’s not very far from Dublin. A few companies offer that tour but we did it on our own. Ireland is great, we’ve been there (also the north part) a couple of times and we love it a lot! There’s always something to discover and it’s true, the coastline is fantastic. Yay! We need to go and explore the western coast next time. Have you been? It looks great. It’s a but busy because it’s so well-known but still totally worth visiting. Now you know what to do next time around! 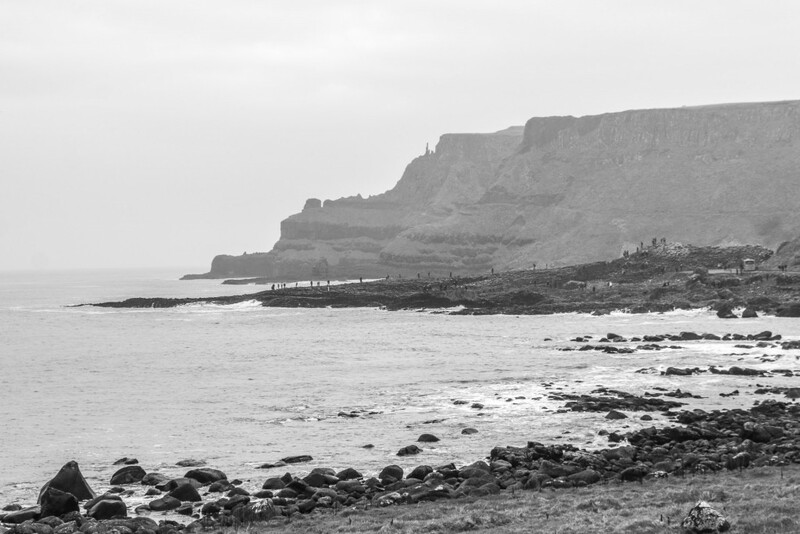 Going to Giant’s Causeway has always been a dream of mine. Hopefully one day. And thanks for the tip about parking and the cost. I’m not sure I’d be comfortable driving though, so I’d probably just do a bus tour. It’s fairly easy to drive there. The parking situation is a bit dodgy! 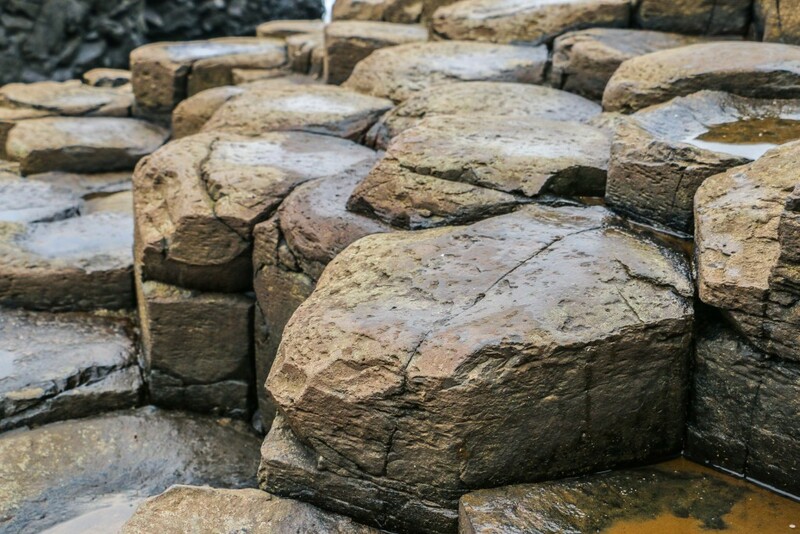 The Giant’s Causeway looks amazing!! I’ve seen many types of landscape but never like that, it looks like art. That’s a good comparison! It does look like art.